The Texas Children’s Hospital is a 715-bed full care provider with 1,580 medical staff and 6,000 nursing & support staff. Texas Children’s utilized a cook-chill re-therm system and its goal was to provide a “room-service/a-la-carte” meal delivery system for its patients. 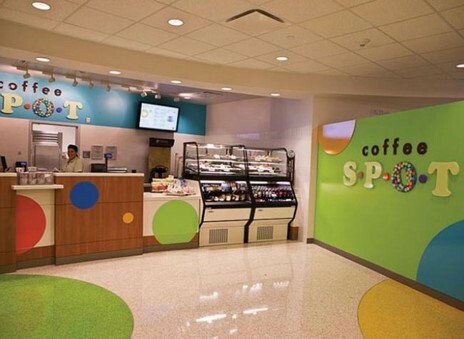 WDG was engaged to assess the various Food and Nutrition spaces of the Texas Children’s Hospital Main Campus to address conversion of the existing food production and patient meal delivery systems to a “made-to-order meal delivery system”. The study included the development of a Food and Nutrition Program to meet the future growth of the Main Campus and certain remote buildings. The kitchen was planned to provide 7,000+ meals per day. The design was configured to allow a Phase I operational plan that could expand into adjacent soft space, as well as internally, when Phase II of the hospital was activated. The plan allowed for continuous meal service during that remodel expansion. In 2013, WDG was brought on board to provide planning and design services for the renovation of the Food and Nutrition areas of the West Tower. Upon completing the Food and Beverage Program/Master Plan, WDG was engaged to design the multi-level Food and Nutrition spaces of the new Maternity Tower. 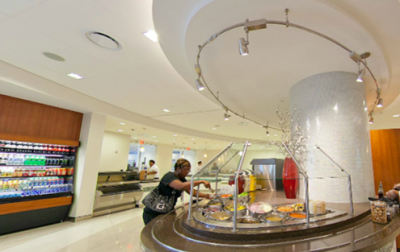 Over 32,000 sf is dedicated to the Food & Nutrition operation, which includes the multi-station Fresh Bistro café operation and dining on the third level as well as the room-service patient meal delivery program kitchen on the fourth level. Foodservices for the new Texas Children’s Hospital West Campus located in Katy is anticipated to occur in three to four phases based upon development of on-site medical treatment and patient bed facilities. 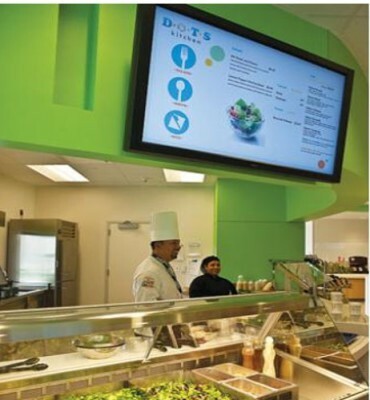 A Limited retail foodservices venue which included a Grab-N-Go Kiosk was planned for Phase I. The operation featured fresh foods and gourmet coffees. On-site cooking was not planned for this area. 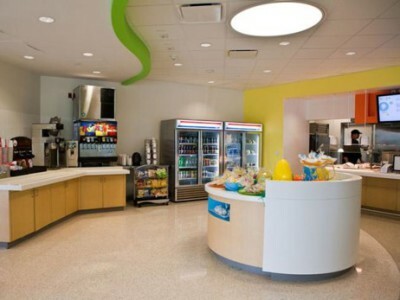 Phase II of the project included a Full-Service Food and Nutrition Operation featuring “room service/a-la-carte concept” for patient meal preparation and bed-side delivery service as well as a scramble-style cafeteria for servicing the 48 bed capacity. During the programming effort, the team collaborated with the Client in identifying specific functional spaces within the Food and Nutrition areas which could be sized to accommodate the future Phases III and IV growth (250 total bed capacity) but which would initially be built for Phase II capacities. Certain MEP utilities were roughed-in at Phase II with the corresponding equipment added/installed at Phase III or beyond. The Café Dining (Phase II) has a seating capacity of 70 seats and as the growth of the hospital occurs and influences the customer count; the dining room can expand to approximately 322 seats. The total Food and Nutritional functional and public areas of the hospital, upon reaching the 250 bed capacity are anticipated to be at 25,000 gsf. 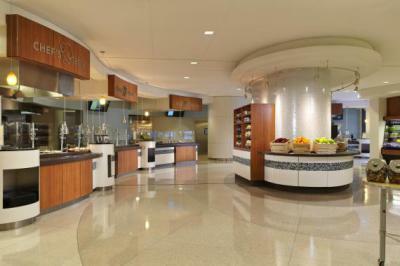 WDG has been retained to design the dietary and retail dining spaces for the new TCH The Woodlands. The new multi-building campus will be built in phases with the Food and Nutrition component spaces being sized to support and accommodate the meal requirements associated with the future (188) bed capacity to and MOB spaces.